Having the opportunity to take over rooms in the college building, Westhoughton Community Network groups gathered to show what they do and meet the public. 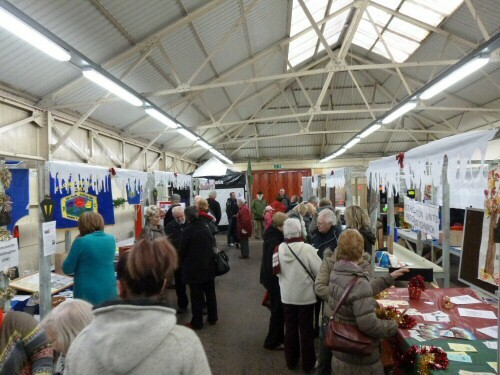 Rooms off the central café area hosted groups, as such people were able to look, mingle and find out about services and activities in Westhoughton. 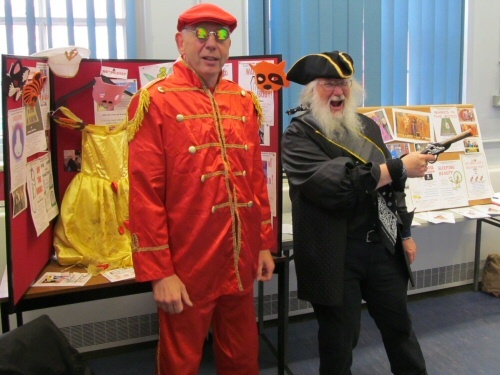 There were also demonstrations of work and tasters of the various courses offered by the Westhoughton Community Learning college. Confirmed participants looked forward to meeting the public. 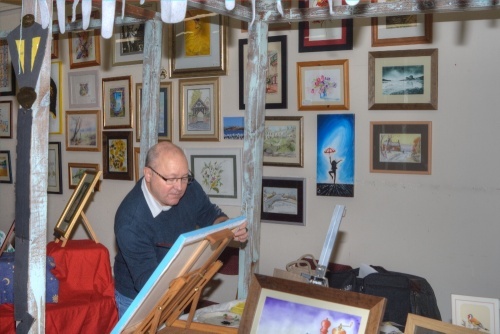 Westhoughton Art Group (pictured) displayed some of the art from their students as they take on and develop new creative skills. 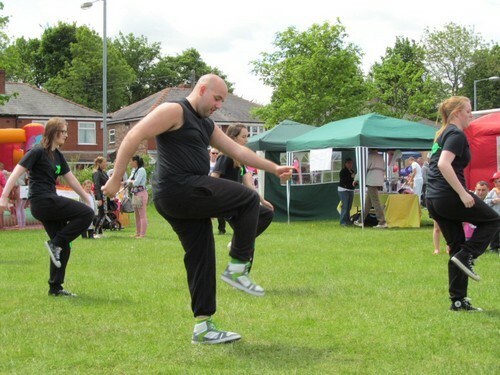 The stalls gave a good idea of the many and varied community activities in Westhoughton. 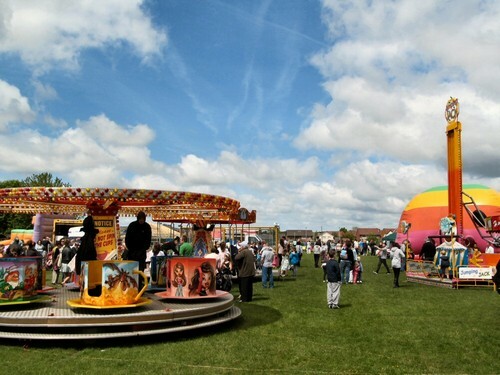 The event and volunteer activities took place during National Volunteers' Week. Bethel Crowd - Keeping you up-to-date with the Youth Theatre group. Bolton College - promoting college. Tasters & demonstrations, course info. 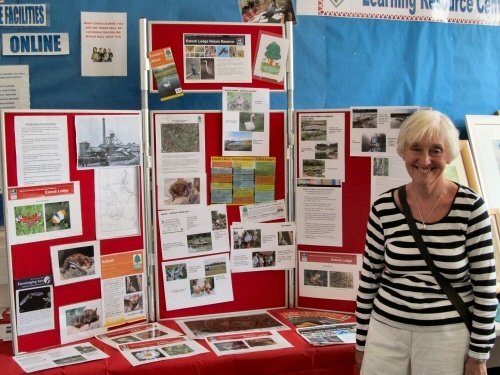 Friends of Eatock Lodge - activities on local nature reserve; new members. HACFRA Hindleys and Clough Farm RA showcase from XDC dance troupe. National Association of Women's Clubs - new group focusing on interests, issues & causes. S.W.A.N. 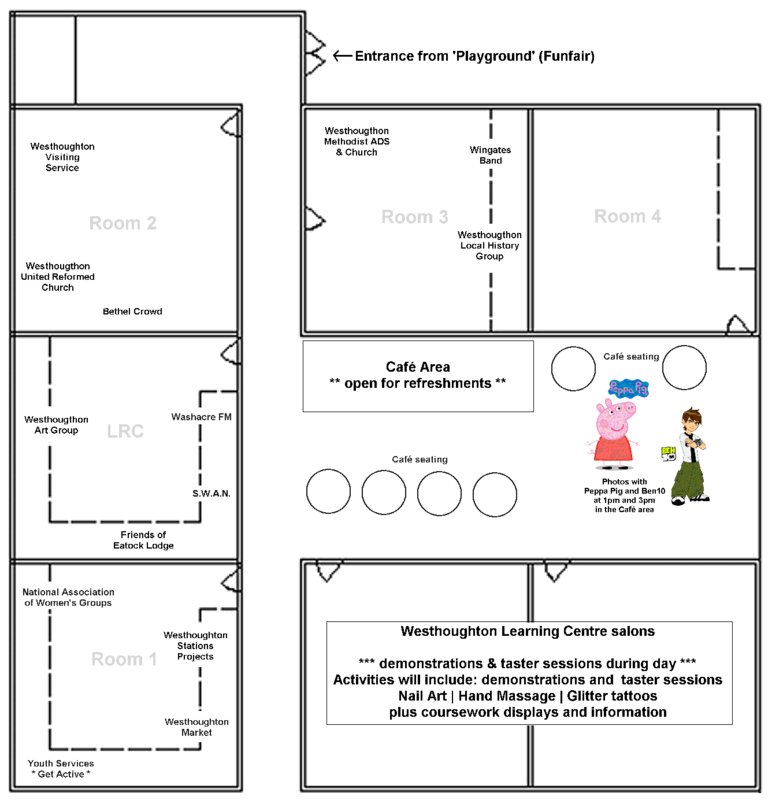 (Save Westhoughton Act Now) - group concerning itself with planning issues. Westhoughton Art Group - promoting art classes & work of students. Live pinting. Westhoughton Local Local History Group - bringing local history to life! Info on projects, DVD/books sales including new tome on the History of Mining in Westhoughton. Westhoughton Market - award winning market at heart of town. 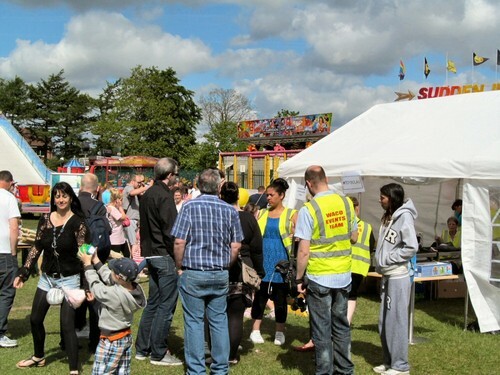 Learn about wide range of stalls & community initiatvies. Westhoughton Methodist ADS & Church - promoting amateur dramatic group. Westhoughton Stations Groups - new initiatives to improve look/ambiance of our two local railway stations. 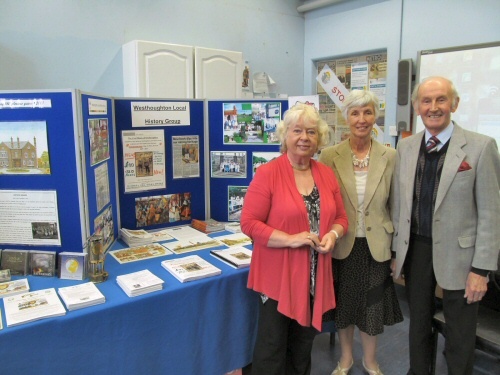 Westhoughton Visiting Service - promoting activities and sitting-in services for elderly; supporting carers. 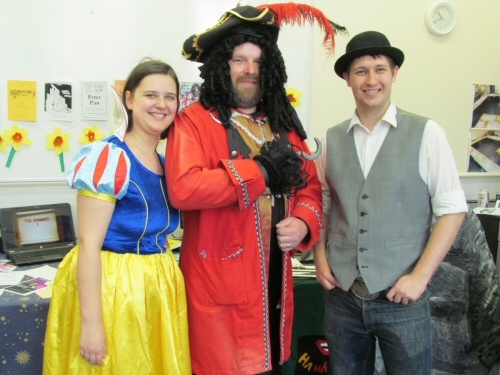 Westhoughton United Reformed Church - promoting Church & community activities. 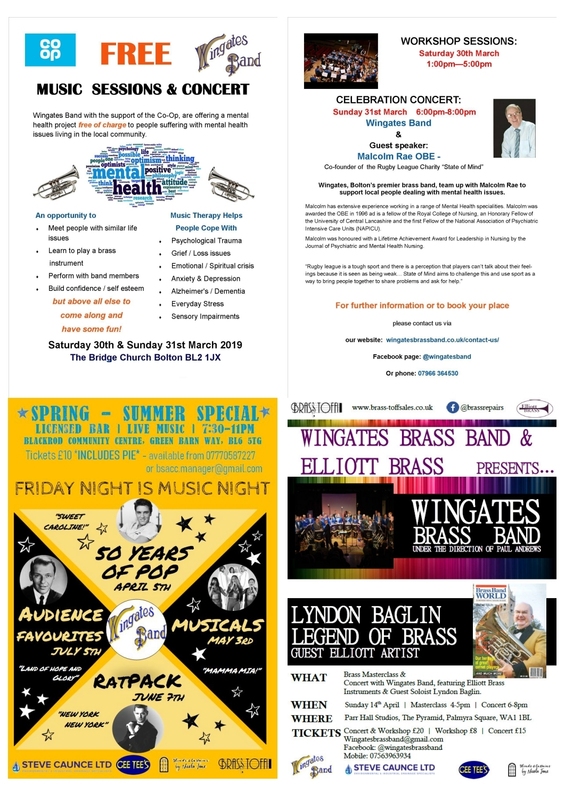 Wingates Band - 140th anniversary year of premier brass band. news & info. 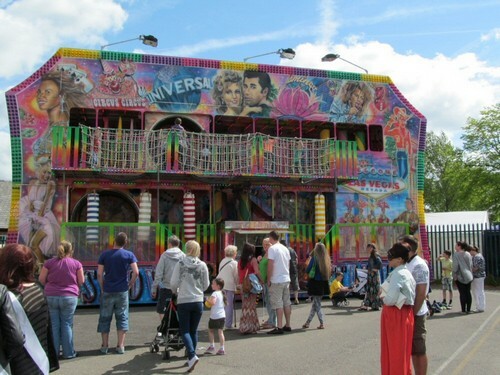 Download WCN fayre information and plan.